Big End-of-the-Year Calendar Sale – 60% Off! Zazzle is having a big end of the year sale! This is probably your last time to get my 2014 calendar for such a deep discount! You Will Love My Witty and Wise 2014 Wall Calendar! My 2014 calendar is here — and it is more fun than ever! 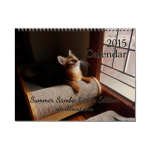 My Human Is an Idiot – FOUR Calendars Left! One of these days my human will learn to count — we actually have FOUR 2013 Cat Rules calendars left here! Yes! There is still time to order my 2013 Cat Rules Calendar — and get it by Christmas! I’ve got six 2013 Cat Rules Calendars left! 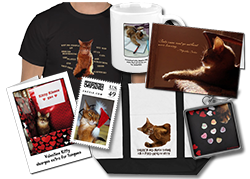 Help a kitty out, and make a cat lover you know happy — they make fun gifts! I might be able to sell some copies of my 2012 Wall Calendar… if a certain tortie does not get in my way! 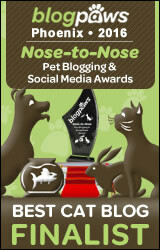 Not-Really-Black Friday â€“ Buy a PAWtographed Calendar! Because of a slight mistake on my human’s part, I am offering a limited number of pawtographed 2011 wall calendars!